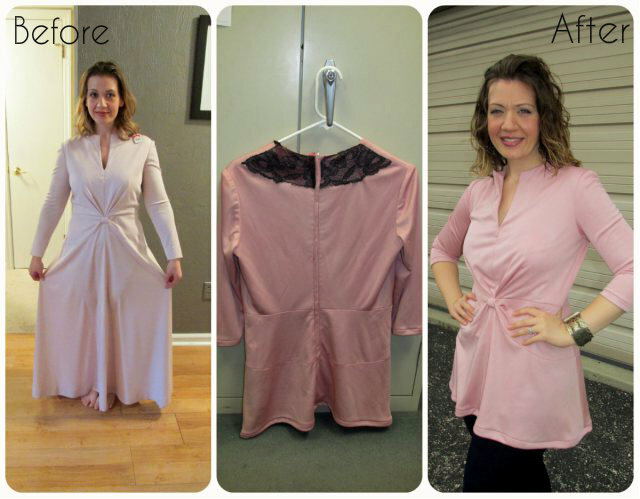 Refashion Co-op: Throw Back Thursday: "Major OOPS! shirt"
Throw Back Thursday: "Major OOPS! 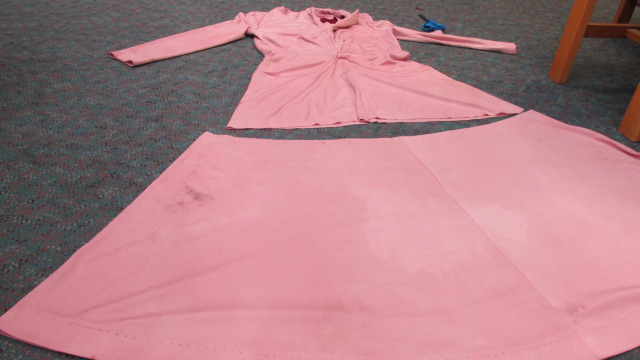 shirt"
Not only did the dye not take very well, it brought out the stains (not visible before I dyed it). So, I chopped off a great deal of length. There was still a HUGE stain on the back, so I covered it with some black lace. And it actually turned out pretty well. 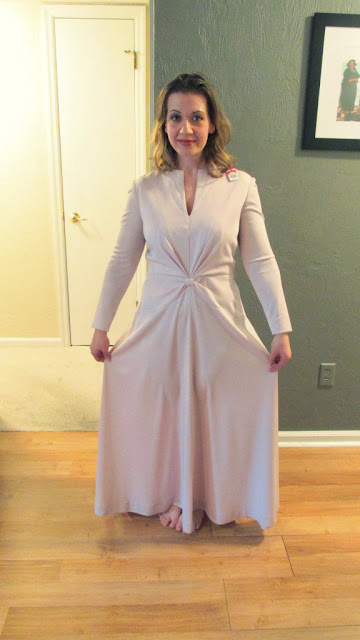 I finished the hems on the sleeves (after cutting off a few inches) and finished the bottom hem. In spite of my major OOPS/idiot moment, this ended up being a favorite of mine for a couple of years. To see my archive post on this, visit my blog at this link. I agree, there is always a way to work a problem into a feature. Love that black lace!!! This looks cute as a dress and the shirt! Unfortunately, we can't always tell how a dye bath will look on certain fabrics, and they do have the annoying habit of bringing out stains that weren't previously visible :-/ However, lovely addition of lace and this is perfect a s a top! Great job! I love the lace idea and would have taken it around to the front as a collar. High-low rounded the hem as well, that's just my idea ;-) Polyester NEVER Dye well, I learned the hard way..